The hygiene kit is in line with the standards of Minimum Initial Service Package (MISP) for Reproductive Health in humanitarian crisis. One kit costs 650 pesos (15 USD). Containing 1 piece of : pail, dipper, comb, nail cutter, rechargeable battery, whistle, roll of tissue, 2 packs of sanitary napkins (20pcs), 3 pieces of : bath soap, detergent bar, sachets of detergent powder, and 6 pieces of : tooth paste, sachets of shampoo, towels, and underwears. The distribution was held at the Community Hall of Brgy. 105, Tondo, Manila. Barangay 105 has roughly 27,000 population. The age bracket with the highest number of pregnancy according to the community leaders would be 15-19. We were able to distribute 52 sets of kits. 40 of the participants were ages 15-19 years old, while the rest are 20 and above. 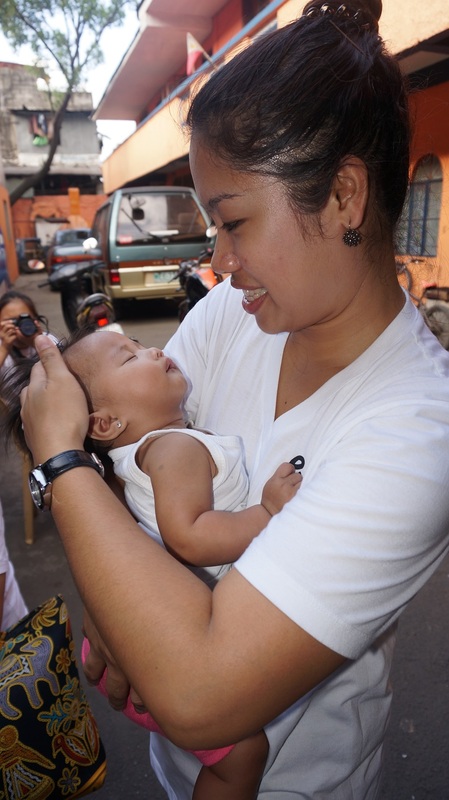 We got reports that the partcipants learned a lot from participating in different health information sessions (disaster preparedness and demonstration of the kits, maternal health and nutrition and post-partum family planning). They also said they would like to try modern family planning methods right after their pregnancy. Contraceptive implants seem popular among the young ones. The kits according to them will be of help in times of emergency especially the rechargeable flash light and hygiene materials. 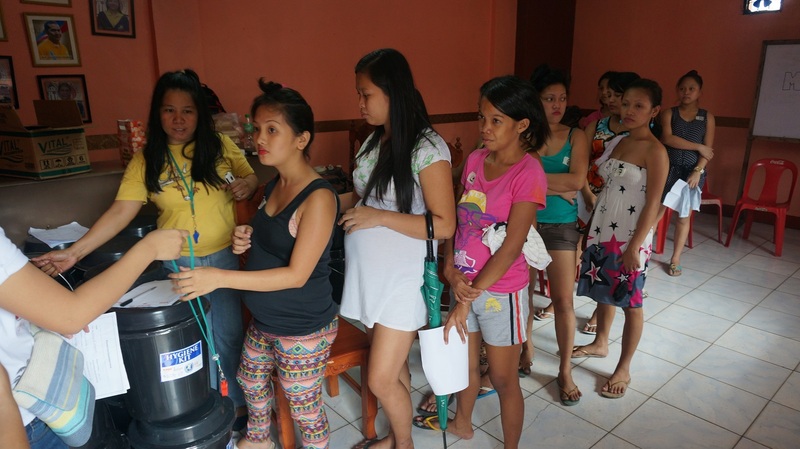 We saw the need to improve the socioeconomic status of the young pregnant mothers as this is linked to their disaster preparations as well as their overall welfare. I remember one mother said how would they be able to think about disasters if their present needs are not even addressed. We will continue partnering with the community by gathering more resources for the young mothers, linking them with employment and entrepreneurial opportunities and educating them about sexual and reproductive health as well as disaster preparedness. 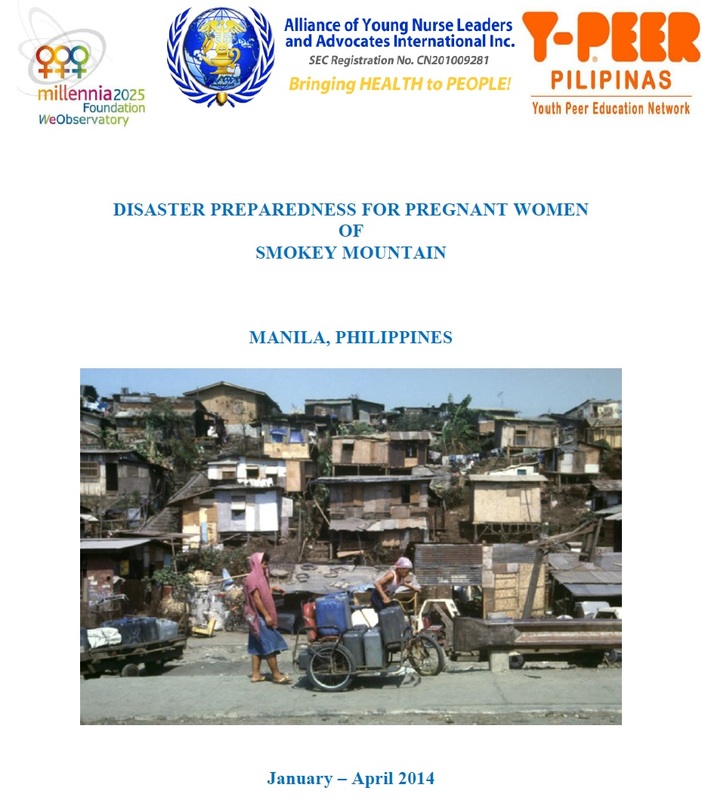 We also would like to capacitate community leaders to respond better to the needs of pregnant women especially during disaster event. The initial podcast project is evolving to scale up and utilize integrated media (YouTube platform integrated to social media and micro blogging sites) to reach more audience. We are trying to set up a small studio to continue the initiative and majority of the funds we got from the Care Challenge was used to buy equipment. However, it needs a continuous support to sustain such project. For the longest time, the people behind the podcast were young nurse volunteers, which became the main ingredient for the sustenance and success of this project all throughout. We realize that such is not enough so we were trying to search for private and funding groups, who can support the initiative or advertise with us. 2. Joint presentations in international conferences and seminars in 2013 – 2014. - Participation to international events and conférences.